Complaint: Valve head came off damaging cylinder kit and head. The first picture shows the valve head. 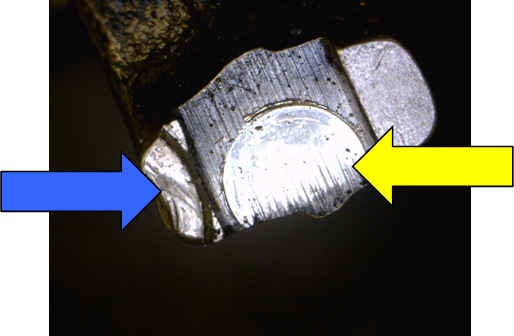 The valve broke in the strongest part of the valve and not at the parting line between the valve head and stem. 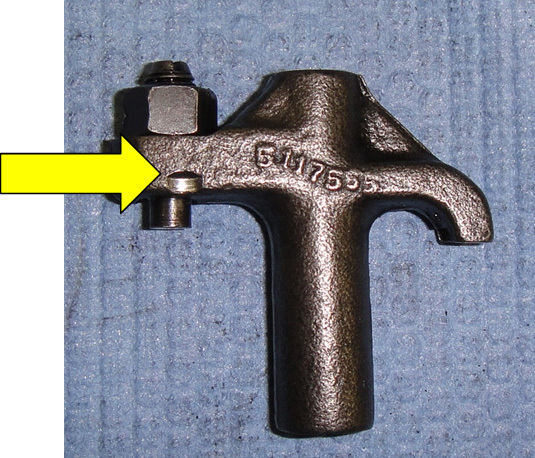 Breaks in this part of the valve occur when the valve is hit and the failure is caused by impact loading. The next few pictures show a damaged valve bridge. On inboard side of valve bridge note limited contact area, yellow arrow and edge damage blue arrow. 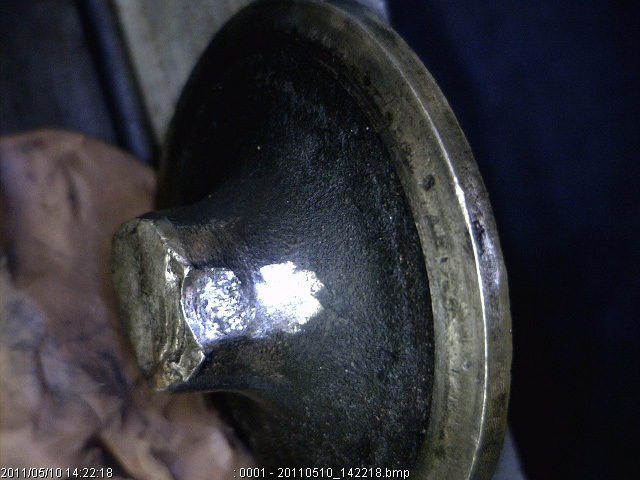 The edge damage was caused when the bridge turned and the valve was in running contact with the outside of the bridge. The next picture shows the out board side of the bridge, note witness marks, green arrows, showing running contact wear on edge of normal contact area and on outside edge of bridge. 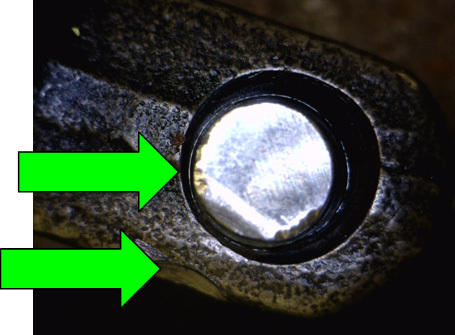 Conclusion: The most likely cause for the valve failure was found to be impact loading caused when the valve was momentarily locked in the open position by the turned valve bridge allowing the piston to strike the valve breaking it off from the stem.